She decided that such a loving photo needed lots of hearts around it. She looked no further than Heidi Grace's Vineyard collection. The chipboard shapes with glitter were just what she was looking for! She scalloped the edge of the Vineyard dots with flocking shimmer paper and place it around two sides of the photo. She said the paper had the loveliest soft texture and complimented the photo perfectly! Chris also used the Vineyard large alpha rub-ons for her title. 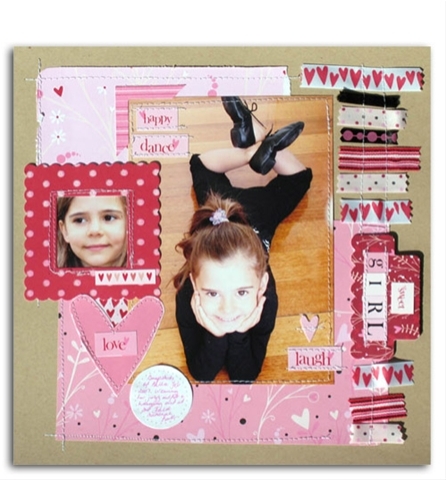 Chris then used the left over Heidi Grace products to create this layout for a small 6x6 friendship album she is compiling to celebrate the wonderful friendships she has found through scrapbooking. 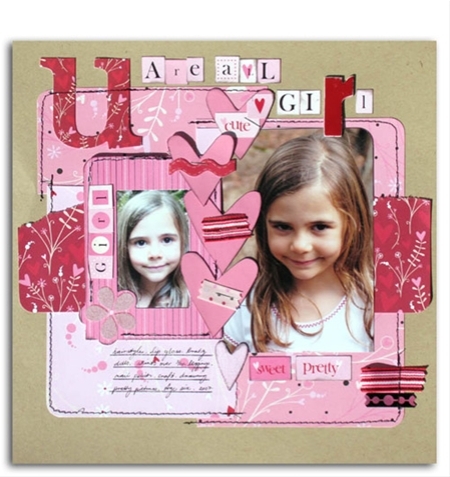 The love blossoms range of Heidi Grace papers screamed pure girl to Mel, so she created this beautiful pink layout of her daughter Bella on a background of Scenic Route kraft paper. Mel hand cut the hearts from the Love Blossoms Mono patterned paper and stapled small pieces of ribbon to the centre of each heart. She added machine stitching to the die cut frame (Love Blossoms flocked add-on punchouts) and used the Love Blossom word and letter stickers to create the word 'girl' - these little letter stickers are perfect for smaller titles. 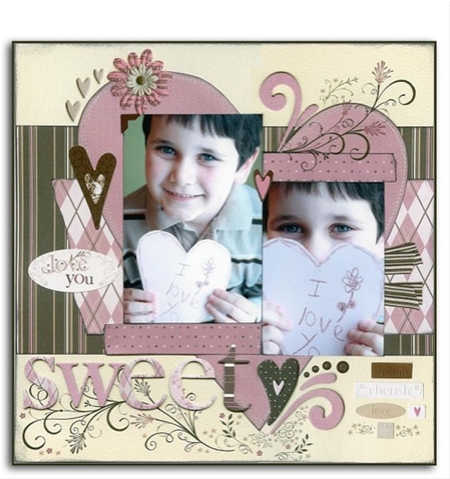 Mel fell in love with the Love Blossoms range by Heidi Grace so she created this second layout for the challenge. Once again she has used a mix of ribbon, diecuts, alphabet stickers and patterned paper from the range to bring together this very girly layout. 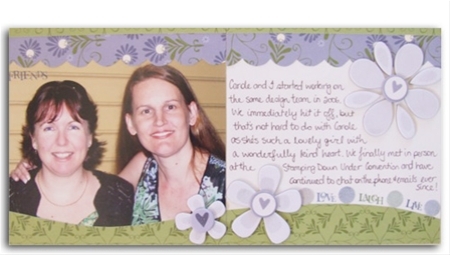 We thank Paula Clark for allowing us to share this stunning layout. 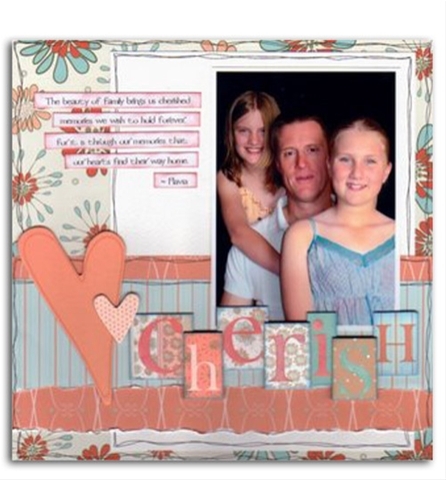 She has In bloom - The Wildflowers Collection to create this lovely layout of her husband and daughters. 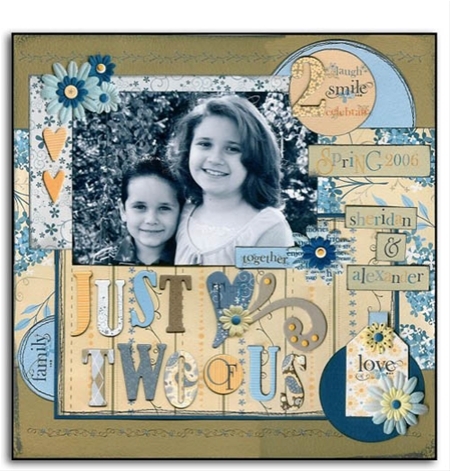 Above are two very cool layouts created by Anabelle Omalley. The photo featured in 'Such good friends' is such a sweet picture and with the soft tonings of the Heidi Grace papers it comes together so beautifully. We loved the hand torn notebook entry too. Another striking photo in this layout titled 'something about Jordan'. We were drawn to this page by the warm tonings of The Woodland range and the chocolate brown machine stitching around the photo which finishes off the layout perfectly. And finally we're thrilled to be able to share with you the work of an artist who clearly knows how to get the most out of her Heidi Grace, Patti Milazzo. 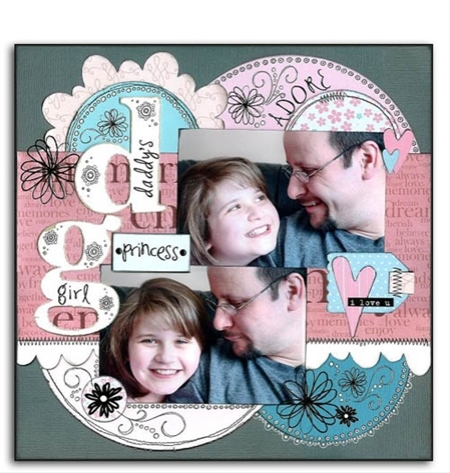 She is on the Heidi Grace design team and we thank her for allowing us to share these layouts here. Making the Perfect Snowball and Daddy's Girl both use the In Bloom-The Garden collection with it's beautiful cool pinks and blues. Patti has showcased two of the newly arrived Getting Places lines in our last two layouts. Just the Two of Us features the very beautiful sands and skies of Marina Drive and the very charming Sweet heart makes the most of Cherrywood Lane. Thank you Patti for allowing us to feature your work.